Who says there are no apps in the Windows Store? 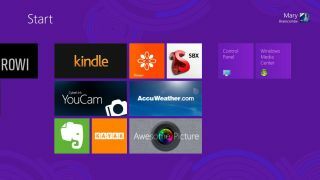 Microsoft's Windows Store now has 50,000 apps available to download for Windows 8 and the tablet-based Windows RT platform, according to new figures. The independent MetroStoreScanner website now lists 50,304 apps on the store, which has been criticised for its paltry selection since the store opened with nearly 8,000 titles in late October. However, perhaps more interestingly, the number of app submissions this month is on the rise for the first time since the store opened its virtual doors. Until March, overall app submissions had dropped month-on-month, suggesting developers were already losing interest in building for the new operating system. The 50,304 apps available compares favourably to the 14,000 (according to AppShopper.com) apps available on Apple's Mac App Store. While this is good news for Windows 8 PC users, it's not so great for Windows RT tablet users considering the iPad has 376,000 dedicated applications. With that in mind there's still plenty of work for Microsoft to do, but signs are more encouraging.